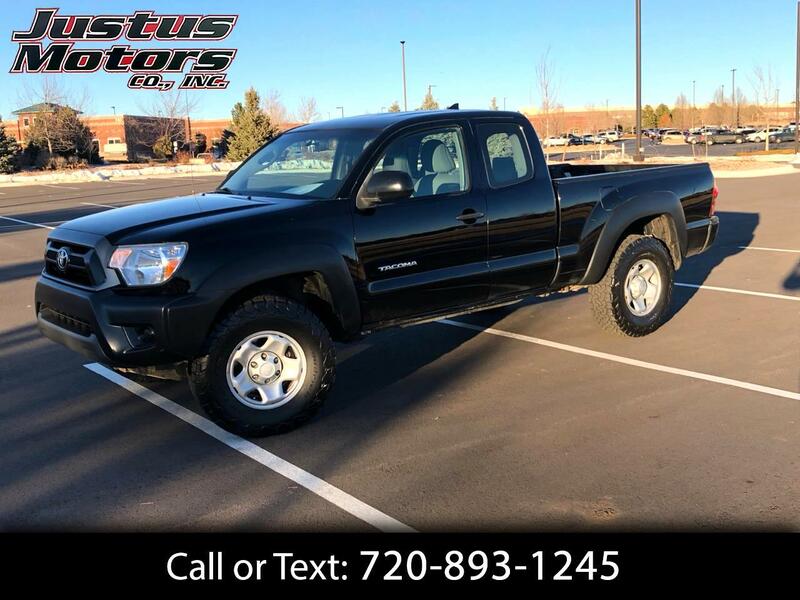 Used 2012 Toyota Tacoma Access Cab 4WD for Sale in Littleton CO 80120 Justus Motors Co. Inc.
Our terrific 2012 Toyota Tacoma Double Cab 4x4 shown in Black may be mid-size, but it has the heart of a full-size truck. Powered by a 159hp 2.7 Liter 4 Cylinder, it scores nearly 25mpg on the open road. The utility of this truck paired with good fuel economy is a very attractive combination as gas prices continue to be uncertain.